Meet Finn, stormy toddler, who doesn’t want to eat his peaches. What ensues is a tantrum to rival all tantrums, earth shattering in all its glory. 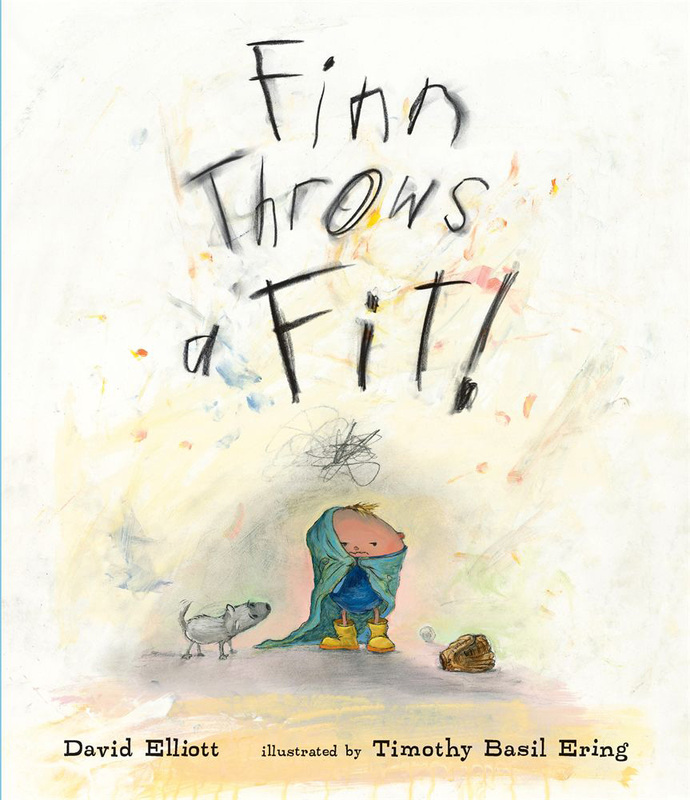 The text is simple and true, and the illustrations messy and whimsical, portraying Finn as almost troll-like, but charming nonetheless. A book aimed at the very young, this one will appeal to parents as well – and to anyone who has spent time with a moody toddler. I loved this book and read it with my kids, who all enjoyed it as well – even my fifteen-year old. We have our own Finn, who can throw a mean fit, so this book has a permanent place in our home now. But Lisa, “DOWNS KIDS ARE SO EASY-GOING AND LOVING! bwah ha ha. I crack me up!